The English ‘Mantras’ to Create ‘Magic’ in your Life!! Here now another one coming up. This time it's both the levels..
SwitchWords are a powerful practice combining Switch – words, Energy Circle, & Advance Gratitude. If followed properly each one of us can bring miracle in your own life, relationships, finance, job, career, love, family and business. SwitchWords is an essence of experience, condition, desired results, expressed as a single word. SwitchWord is one word ‘creative declaration’ a ‘one word affirmation and phrases. "Would you like to bring a miraculous change in the domains of your Relationships, Finance, Job, Love-Life, Home, and Business?" "Would you like to learn a methodology that initiates and completes a desired change directly through the Sub-Conscious Mind?" Switchwords have that power to create that change as they connect directly to your subconscious mind and have the power to activate switches in the subconscious. SwitchWords can communicate directly to our subconscious thereby clearing negative belief patterns and thus helping to create positivity to success. These power words activate our abilities and thus we start manifesting success through subconscious in our relationships, business, career, finances, health, home life, getting protection and other issues in our life. “Switchword is one word Affirmation”. Energy Exchange: Level 1 & 2 - Rs. 17k if taken together. Level 1 only – Rs. 9 k. Early bird discount till 5th September Rs. 8k. Level 2 only - Rs. 9 k. Early bird discount till 5th September Rs. 8k. 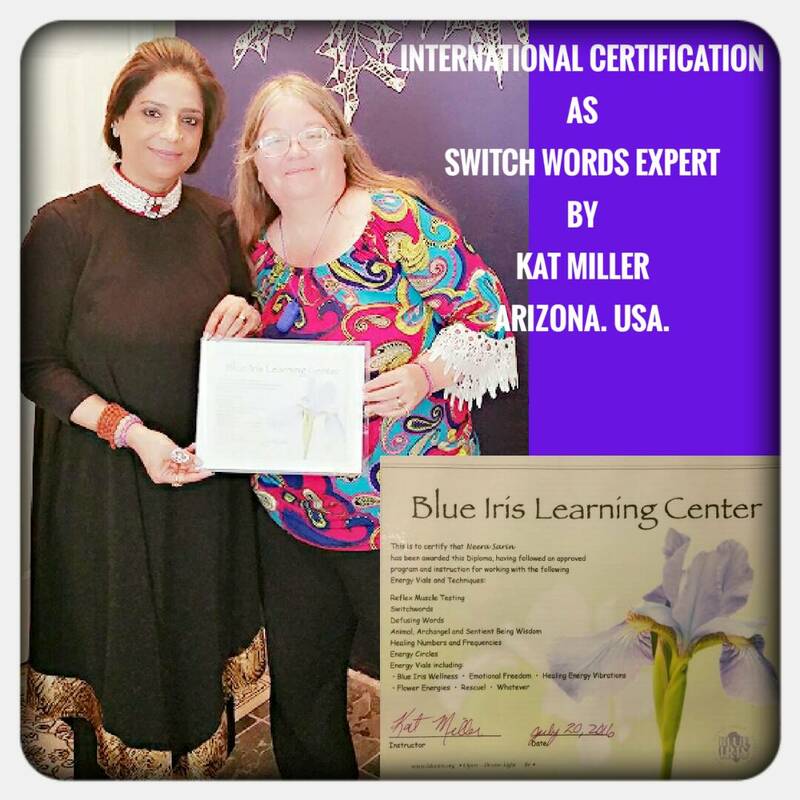 “Hi, I'm Kat Miller, founder of Blue Iris Learning Center, the world's main source for Switchwords, Defusing Words, Energy Circles and many associated subjects. Many Switchwords, Defusing Words, Energy Circles and connected topics are being taught in various ways at workshops around India. Though it is great to have these techniques shared around the world, often diluted, improper or incorrect information may be reaching people. Neera Sareen, Founder AUM KARMA, New Delhi, India is my first student on Switchwords and allied topics of this domain.